Whether you're a beginning runner or an elite marathoner, the single most important factor to your success on the roads or trails is your choice of shoe. That's especially true if you're attempting trail running for the first time. Choose a shoe that is poorly made, doesn't fit properly or is inappropriate to the terrain you plan to run on, and you're probably headed for disaster. Why Can't I Use What's in My Closet? Here's a quick breakdown of what constitutes a trail running shoe, and how to choose one that's right for you. 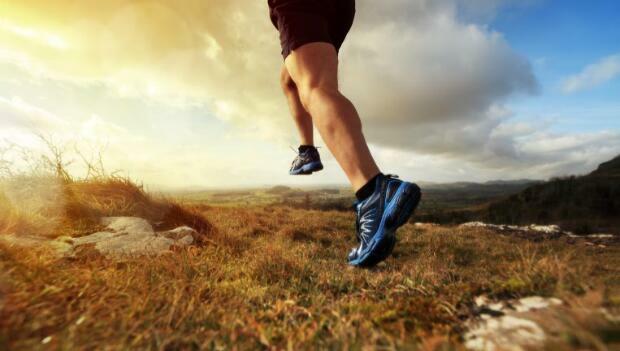 In addition, most trail running shoes offer a protective toe bumper to guard against stubbed toes, and some also include a thick insert between the midsole and outsole to defend against bruising caused by stepped-on debris. Depending on your running style and the ruggedness of terrain, you may choose to wear a hybrid, conventional or minimalist model of trail running shoe.